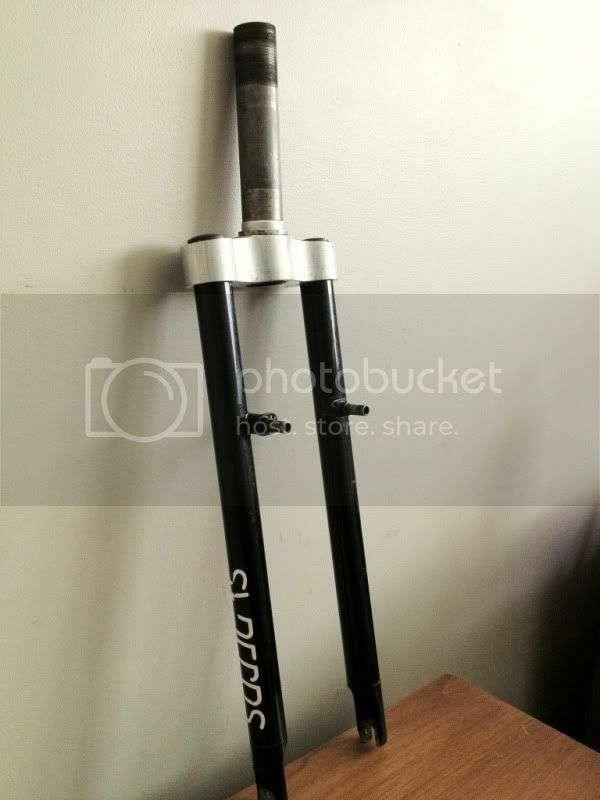 Post subject: Re: Steerer Tube Swap Shop - shorter for longer! NO SALES! Need an Ahead style for a set of Manitou 4's 180mm ish have a threaded 185mm to swap 1-1/8th flavours. I think other steerers will fit? PM me ta. I have a Rockshox Mag21 with a short threaded steerer/crown of around 145mm. I would like an ahead steerer/crown of at least 18cm. I have a Mag21 '93 steerer available, 1" threaded, 14.4 cm long. I need a Mag21 steerer in 1.1/8", threaded, around 17.5 cm long. Anyone? Hi guys, I'm looking after a Pace RC35 steerer in 1" and about 190mm. I swap it against a 1" /170mm tube. Looking for a 132-133mm long threaded 1 1/8" Mag 21 steerer. I have a threaded 1 1/8" 154mm or ahead 163mm to swap. Looking for a Klein MC2 Judy crown/steerer which will fit a 21" frame. Have a 20" size for swaps. Also have a MC2 steerer Judy mag ti in 20" available. Looking for a Rock Shox Judy bolt-up crown/steerer assembly, 1 1/8 threaded, 162mm or longer. Have a similar crown/steerer, 1 1/8 ahead, circa 205mm long. Last edited by andyz on Fri Jun 21, 2013 7:55 pm, edited 1 time in total. Have a 1 1/8 steerer 136mm long w/ 39mm threaded. Need a 1" 136mm or longer steerer threaded.